When Erik Davidsen and his sister, Inga, find a disturbing note among their late father's papers, they believe he may be implicated in a mysterious death. 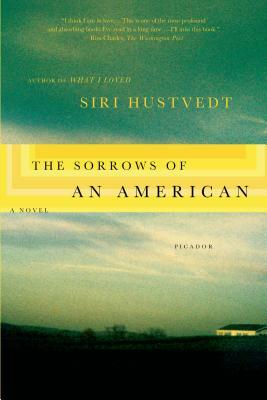 Siri Hustvedt's The Sorrows of an American tells the story of the Davidsen family as brother and sister unbandage its wounds in the year following their father's funeral. Erik is a psychiatrist dangerously vulnerable to his patients; Inga is a writer whose late husband, a famous novelist, seems to have concealed a secret life. Interwoven with each new mystery in their lives are discoveries about their father's youth--poverty, the War, the Depression--that bring new implications to his relationship with his children. This masterful novel reveals one family's hidden sorrows in an "elegant meditation on familial grief, memory, and imagination" (Minneapolis Star-Tribune). Siri Hustvedt was born in 1955 in Northfield, Minnesota. She has a Ph.D. from Columbia University in English literature and is the internationally acclaimed author of several novels, The Sorrows of an American, What I Loved, The Enchantment of Lily Dahl, The Blindfold, and The Summer Without Men, as well as a growing body of nonfiction, including Living, Thinking, Looking, A Plea for Eros, and Mysteries of the Rectangle, and an interdisciplinary investigation of the body and mind in The Shaking Woman or A History of My Nerves. She has given lectures on artists and theories of art at the Prado, the Metropolitan Museum of Art in New York, and the Academy of Fine Arts in Munich. In 2011, she delivered the thirty-ninth annual Freud Lecture in Vienna. She lives in Brooklyn.